Bed bugs don't only infest your mattress and bedding, they also hide inside your box spring. Protect yourself from bed bug infestations with this bed bug proof box spring protector. 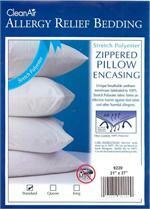 Compliment your bed bug cover with this additional protection. Also protects against dust mites and allergens.